Hello friends. I am super excited about this blog because organization is near and dear to my heart. I am an organization junky. Seriously, I love spending downtime browsing Crate & Barrel and The Container Stores’ newest arrivals. Being organized comes naturally to me, and I find it enjoyable. But what if you don’t? Where do you start, so you can make the most of your time and accomplish more? And most importantly how can it be fun and fashionable? I have answers for all these pending questions. Read on for easy tips and steps you can take to enjoy planning and organization in a fabulous fashion. First, you need to establish your goal or assess where disorganization is in your life. Do not try to organize all areas of your life at once, or you will get discouraged and quit. What areas of your life do you need help organizing? Making it on time to meetings, events, etc. I often hear people feel unmotivated to get organized or make a plan. A great way to overcome this is by purchasing organizational tools that are cute and fun, so fun that you want use them as often as possible. An Agenda or Planner helps you visually see and track all you need to get done. There are many cute agendas available, which makes it hard to choose. I will be using the above Kate Spade from August 2018-2019! Erin Codren and Lilly Pulitzer Planners are well designed too. I keep all my appointments, tasks, and activities organized by color coding EVERYTHING. It’s another way to make staying organized fun with colored pens. This is my previous planner/agenda. You can see The different colors and check marks or lines through completed items. I use Pen Mate’s Gel Pens because they do not bleed through to the next weeks’ pages of to-dos! Yes, I learned that the hard way. Sticky notes are another great organizational tool. I use mini sticky notes in my agenda for items that are continuous or don’t need to be completed on a specific day such as studying for a test or checking my mailbox. The mini sticky notes let me move the task around each day until I can tare it off after completion! Recently, I have been keeping a larger set of sticky notes on my night stand with a pen. This is for those random ideas late at night. I jot the thought or task down immediately, so when it’s the time of the week I check that note I can get done what I need to! I implement a similar practice with a small notebook/notepad in my purse. Again, I use it to write down random thoughts, ideas, or tasks! Previously, I used the “Notes” app on my iPhone, but it honestly stopped being convenient and easy to pull out my phone and navigate to. I’m super excited to continue using these cleverly designed Mini Kate Spade Spiral Notepads. I really like my new Kate Spade Planner, but I should have gotten the LARGE one! Do not procrastinate. Letting work and messes pile up makes completion even harder. My rule of thumb and best piece of advice is STAY ON TOP OF IT! Instead of pushing everything off to be completed on one day (which you know won’t happen) keep up on your tasks and cleaning each day. I promise this will alleviate stress and worry. 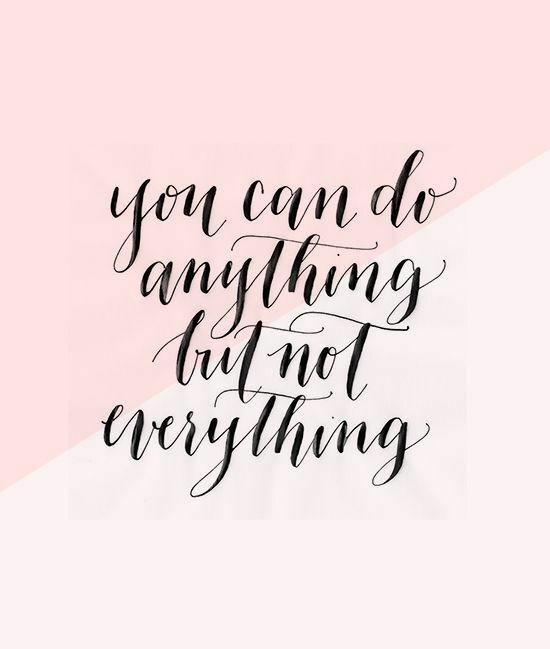 I never procrastinate because the worry and anxiety of a to-do list on my mind is worse than doing the work! Here are some ways to execute organization, so you are always on time, on task, and not falling behind. B.E. on Time: Honestly, being late is my BIGGEST pet peeve. It’s a form of respect and shows discipline when you are on time to meetings, gathering, or turning in an assignment. Wearing a watch, setting timers, and planning ahead are easy ways to make sure you’re always on time. Dishes: Rinse and wash or put in the dishwasher as you use. It’s also more sanitary than leaving them out! The Bedroom: Keeping my room tidy is especially important in college. I do this by giving everything a home and returning items back to their home as soon as possible. Laundry/Clothes: Dirty clothes belong in a laundry basket and clean clothes in a dresser drawer or closet. I always change my mind on what to wear, but instead of throwing clothes on the floor I hang them back up before grabbing something else. Toys: Do you have kids with short attentions spans wanting to get out ALL their toys? I don’t, but my house was NEVER cluttered, and I am grateful for that. The unwritten rule was we could set up and play with anything as long as our previous toy mess was picked up. I couldn’t have “Barbie Land” set up in the basement and my nail salon in the Sun Room, while I set up a museum in the Living Room. This taught me responsibility and commitment to an activity. Setting up “Barbie Land” was a lot of work! Getting the Work Done: Complete one thing before moving on to the next. This will make you feel accomplished and lessen distraction. If outside noises bother you, put in head phones and blast your favorite tunes or podcast. It’s the end of my organizational tips (for now) and the end of your procrastination. Decide on one thing to tackle and organize this week and share your success with me on Instagram and Facebook by tagging me and using the hashtag #bestyle. I look forward to seeing you get organized. You can do it! I think it’s incredibly important to learn from others and connect with fellow bloggers! Emily Smith is a blogger I met through IG, and she also is super crafty with an AMAZING Etsy Shop. These are some of her most helpful organizational tips! ◦	I work best when I can write everything down. I have notebooks, post-it notes, and planners full of my to-do lists, appointments, ideas, notes, etc. I’ve tried doing the same on my computer and in my phone, but I don’t feel as organized. There’s something special about being able to cross something off of a list and flip through pages to find what I’m looking for! ◦	I own a party decor shop and am always designing new products. I have lists and lists of phrases and ideas to use for my new products and would be lost without those lists! Whenever I am in a slump of what products to create, blog posts to write, or photo ideas, I look back at lists I’ve made to get my creative juices flowing. This can also be helpful for to-do lists – I have to-do lists for my business, around the house, errands, and personal goals. I am more likely to get things done if it’s written down! ◦	It’s hard not to love instant gratification when you come up with a new idea. I would always jump on a new idea in the past, only for it not to work out the way I wanted or eventually become disinterested in what I thought was a great idea. This past year I have taught myself to be patient with new ideas so I can take the time to research how it can be successful. This helps keep me organized because I take time to think about the pros and cons of each new idea or project, research how others have done it, and figure out the tools I need to do the best job I can. Thank you Emily for sharing! I’m def a list kind of girl! I keep them everywhere and am constantly scratching notes in the side of my planner. Lovedddd this post! Lists are the best!!! Thanks for reading. I liked this post. Cleaned up the garage on Saturday. Love when things are organized and tidy. Thank you! The garage is always a huge organizational project. I get my tidy, organizational skills from you.